In 2085 A.D., armored warfare is faster and deadlier than ever. Hovercraft speed over the battlefield. Tanks use tactical nukes. Infantry is equipped with battlesuits of incredible firepower. But they all fear one weapon . . . . 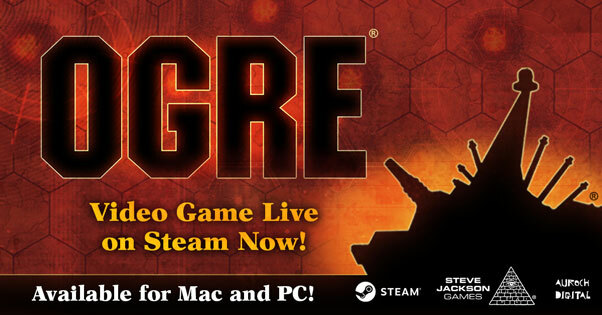 Since 1977, Ogre has been one of the best-loved tactical ground-combat games. The simplicity of the mechanics, the speed of play, and the sheer scale of the conflict made the game an instant classic. In 1992, a ruleset for using miniatures was released; it won the Origins Award for Best Miniature Rules. 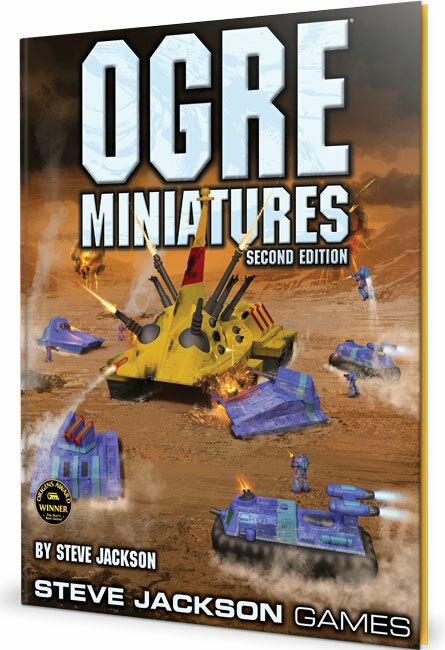 We are proud to present Ogre Miniatures, Second Edition. 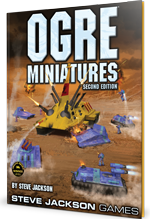 We took Ogre Miniatures and the 2008 Ogre Miniatures Update and combined them with new material from the Ogre Sixth Edition rulebook to create a completely revised and updated version. Included with the book are record cards for all known Marks and styles of Ogres, a Reference Sheet, and full-color die-cut blast templates, markers and craters. Beautifully illustrated with photos of Ben Williams' amazingly painted miniatures, Ogre Miniatures, Second Edition is destined to be a classic in its own right. 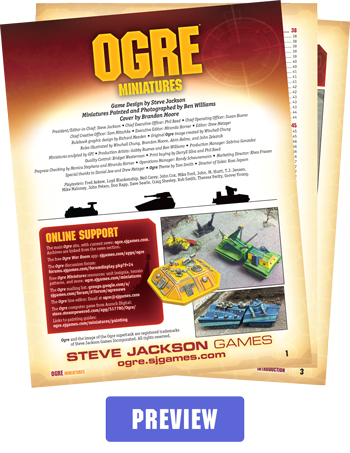 If you're ready to start building your army, check out the Ogre Miniatures pages on Warehouse 23. Ogre Miniatures – The rulebook. Ogre Miniatures Set 1 – The basic Paneuropean units. Ogre Miniatures Set 2 – The advanced Paneuropean units. Deluxe Ogre – Combine starter set. Deluxe G.E.V. – Paneuropean starter set.